This weekend at the farmers market I picked up a forest mushroom pate by Pate Pastiche. 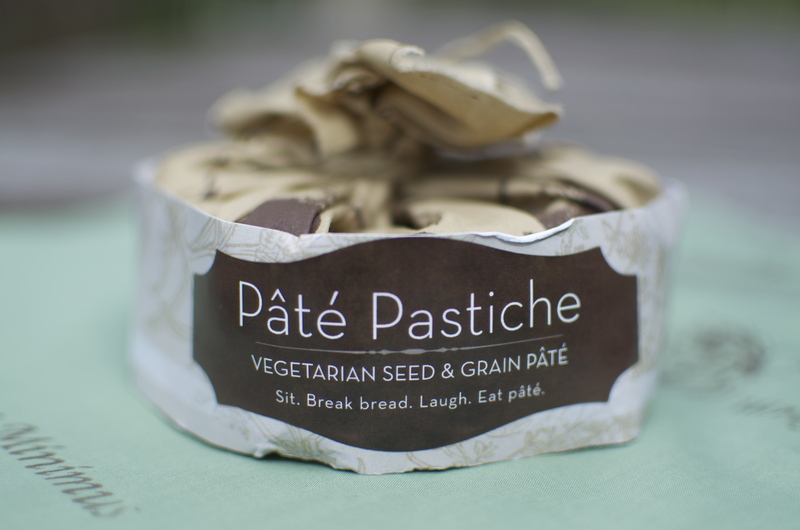 Their vegan pate, made from whole grains and seeds is delicious on sandwiches. The forest mushroom pate is slightly smokey and topped with herbs including long stalks of rosemary. For lunch, I made a sandwich on the Bread Affairs organic baguette, which I dressed with olive oil and topped it with fresh slices of tomato and pea shoots. 1. Slice the baguette in half and lightly toast. 2. Lightly drizzle olive oil on the baguette. 3. Place tomatoes and pea shoots on one half and place the pate on the other half and enjoy. I had this pate this week too! Sooo good. Can’t wait to get more of it. Do you happen to have their emai? The label on mine was damaged. I don’t have the packaging anymore. I go to the Kitsilano farmers market and they are always there. Also, I know that they are on twitter and you can find them there. Hi Andrea, you can always contact me @ Pastichefoods@gmail.com or like Pate Pastiche on Facebook to find out where we are… Thanks for the support. This pate sounds divine. Thanks for sharing. 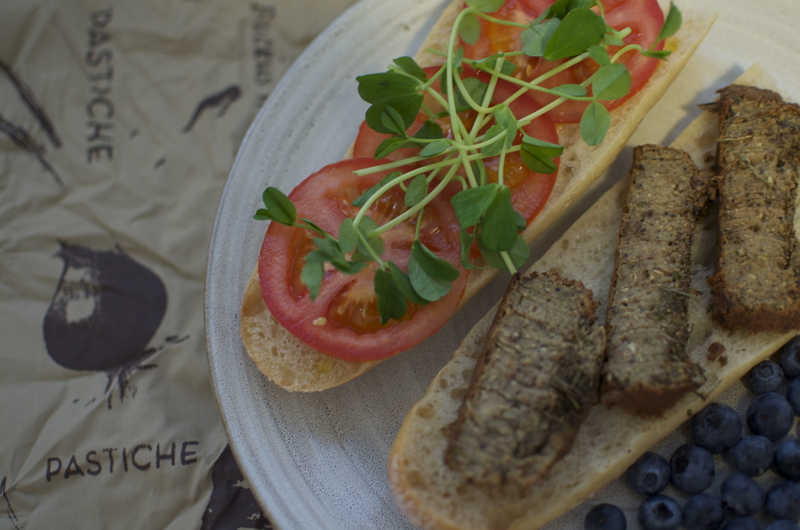 You are currently reading Baguette Sandwich with Forest Mushroom Pate at Coriander Kitchen.